Ben Rapport`s Seth Oliver is the most relatable character the show has introduced so far. Similar to Jay he always carries that big dose of self-doubt with him. Yet, he is a fighter, an underdog but a fighter. Ben creates a compelling character you root for throughout. The case of the beat up FBI agent by a Transistrian undercover agent had it all. The balance of seriousness and Seth`s inability to complete an assignment without looking like a major failure made it one to remember. 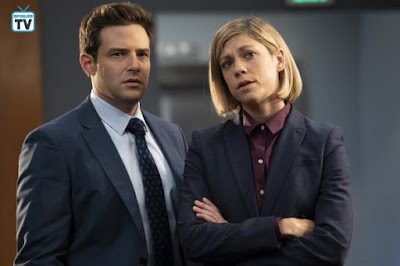 Seth`s plot to get out of the Major Crimes office seemed ridiculous but turned out into an emotional story as the injuries the agent suffered were more serious than initially thought. Seth working together with Kate and Leonard was hilarious. 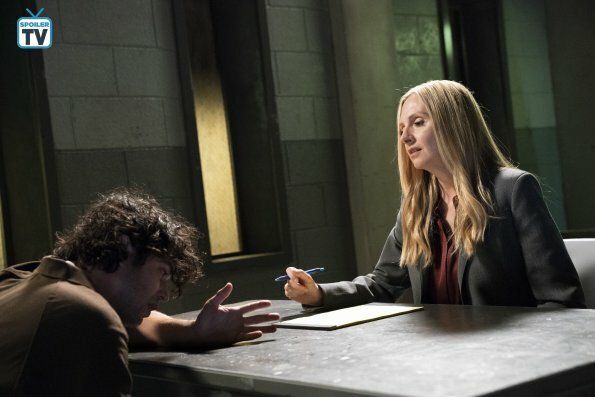 Kate`s study sesssion during Seth`s meltdowns were hilarious. Kate: Do you know it`s illegal to take a selfie with a Tiger? The chemistry between the three of them is impeccabnle and the writing for their scenes is just working smoothly. Seth`s "nerdy" and random moves felt so out of place but true to the character. Seth giving in and not prosecuting Popov was heartbreaking to a point. Seeing how little an individual is worthy in this world full of bullies does make you feel small. Sandra`s kidnapping case served as a great way to find out more about Ted. The newly introduced investigator showed layers of justice as the case took child abuse strips too it. The chemistry between between Britt Robert`s Sandra and Charles Michael Davis`Ted is great. His smooth and sharp approacht puts her slightly out of her confort zone to see cases and setups from different angles. The interaction between these two is certainly heading into a romantic relationship, which I am not really eager to see unfold. One delightful character we saw again this episode was Olivia Sandoval`s Celia Chaves. I like the fire she brought up against Sandra and she was a valuable chacracter for most of her season 1 appearances. The show should really make a better use of Jasmin Savoy Brown`s Allison. This episodes story with Jay was sweet and made me laugh and giggle but I want proper character development for both Jay and especially Allison. Seeing Hope Davis full on during this outing was a true delight. Jill and Roger are wastly underused but when they get the spotlight they own it. The case of the cohorsed murder confession brought out the Defense Queen out of Jill. 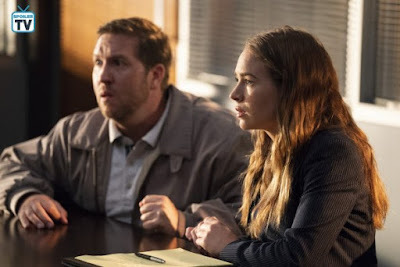 Her emotional investment in this case and her interrogations skills were phenomenal, really impressive. Shane Coffey`s performance was terrifyingly haunting. The montage of Steve`s interrogation made me sad. Tortured and pressed for 15 hours without space to breath with all these accusations hitting against him. The self-doubt emerging within him transferred well to screen. I expected the verdict to turn out guilty. It would be too idyllic and For The People isn`t that type of show. It is honest, harsh and shows how unfair this world can be. The scene between Jill and Steve just before the sentencing was so strong in it`s simplicity. The body part case involving Doug, Sandra and Kate was a great balance to the heavy murder case on the other side of town. Even I as a medical worker got the creeps from this story. Servered body part are so disgusting and the notious Sandra and Kate felt I got. I truly felt it. The depth of Doug`s merchandise web was terrifying but his sweet nature balanced the creepy out really well. The bond created between Kate and Sandra was well written and executed by the actresses. The two of them are really great together, their energies fit well and their head to head scenes work really well. I also enjoyed the nod of how worn out Sandra looked by this episode. It was obvious episode after episode that Sandra is suffering under the workload, messy hair, eye bags and a paler skin tone. Set and Leonard bonding was so sweet on the other hand. It felt like a weird story placed between these two hectic cases. Yet it served well to strenghten the bond between the two drastically different boys. The usually cold Leonard getting involved Seth`s life shows how far their relationship has come. Also, Seth brought up Leonard-Kate`s slightly romantic backstory. Let Late/Kanard rise! 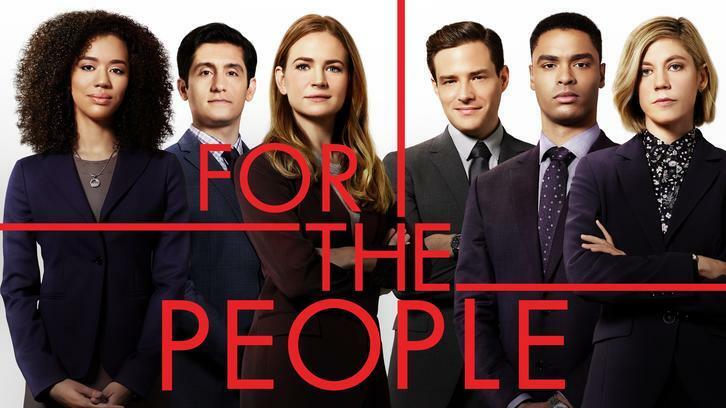 What are your thoughts on the latest two episodes of For The People? Drop by the comment section down below and share your thoughts of the season so far.